And so, what attracted me to a second visit within a few days apart? With one of the partners being especially strong in interior design, it makes sense that the aesthetics play as much a role as the food and drinks they offer. 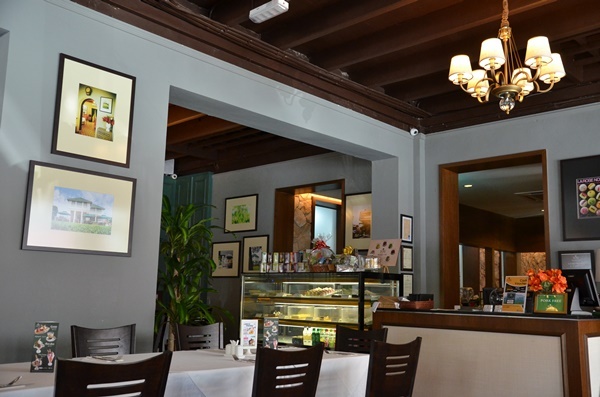 Stepping into the spacious corner lot just off Brewster Road (Jalan Sultan Idris Shah, for those wondering how come your Waze or Google Maps cannot locate the original, miles better sounding name), the dining environment was a definite plus. The similarity between this and the first outlet was startling, not a surprise since if it ain’t broke, why fix it right? 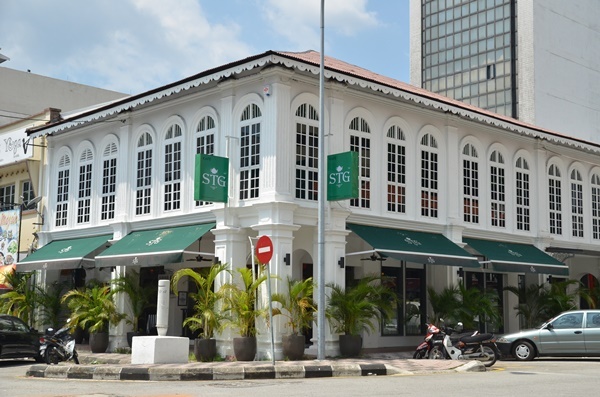 At least, this appears to be a proper, traditional style of colonial café housed in a bright environment perfect for afternoon tea sessions and fill in the void perfectly for the in-between hours cravings; a trend started by the row of refurbished lots pioneered by Burps & Giggles which is a short walk away. 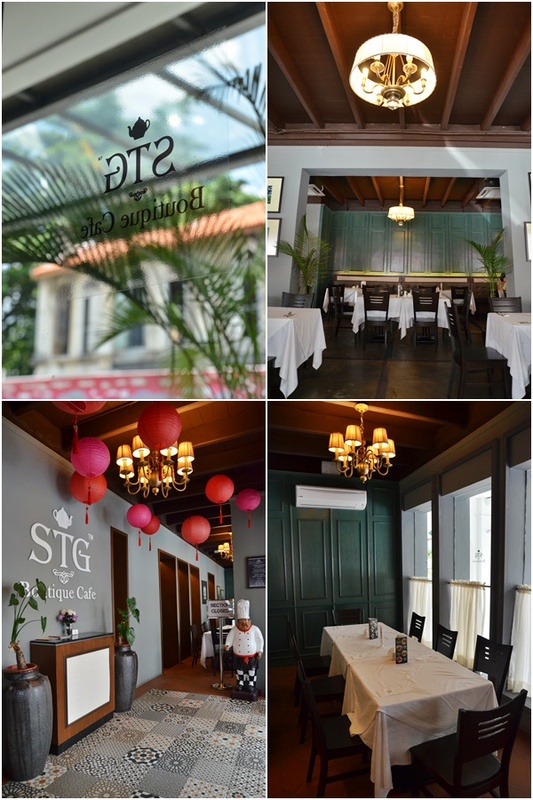 The menu was not as imaginative or impressive as one would prefer, but STG sticks to what they know and cook best, so the items on the menu resemble what STG Tea House has almost to a ‘tea’. Bad pun intended. 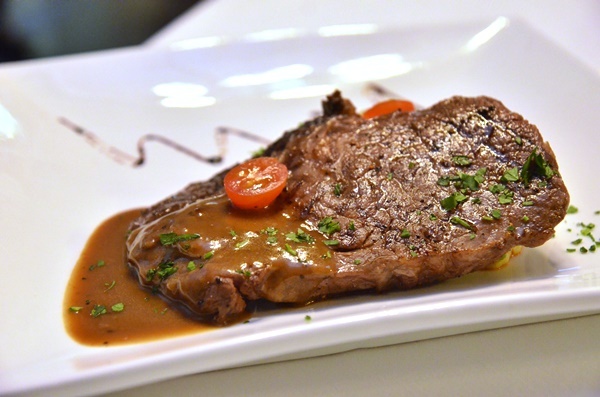 From the Meat section, you have lamb loin, lamb shank and lamb rack, as well as sirloin, rib eye and tenderloin steaks. Prices range from MYR 38 to MYR 68 per portion. 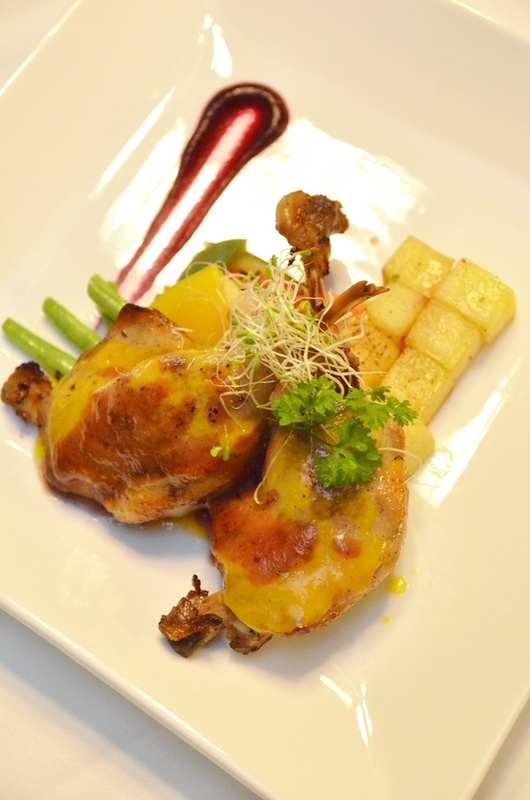 For some poultry, their signature Tea smoked chicken leg is available here as well, while they also included smoked duck breast with citrus dressing and French duck confit into their repertoire. Aside from that, from the Seafood section you get to choose between grilled sea bass, fish and chips, chili lime grouper or grilled salmon (MYR 26 – MYR 40). 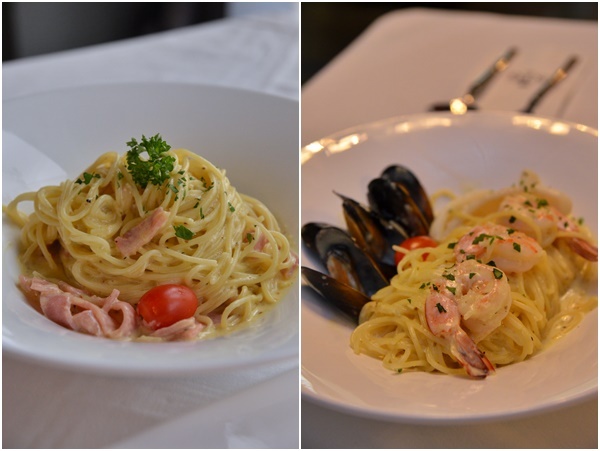 And their most extensive selection of mains come from the Pasta section with 10 choices priced from MYR 16 to MYR 28 per serving. Not forgetting their Malaysian root, and to go along with a cup of their Teh Tarik made from their trademark Sabah tea leaves (STG stands for Sabah Tea Garden, in case you’re curious) are several local delights like Curry Laksa, duck egg Char Kuey Teow, Nasi Lemak, Nasi Goreng and even Hainanese Chicken Rice. (MYR 22 – MYR 25). The highlights of their mains came from the Tenderloin steak which was cooked medium well (to Dad’s preference) and was not outshined by the complementing mustard shallot sauce. 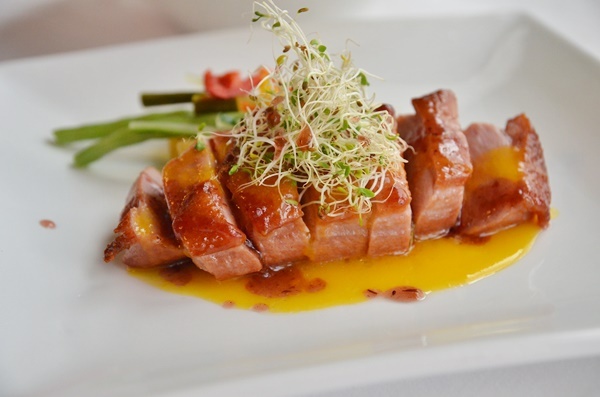 The Smoked duck breast was exceptional as well, the thick cuts of smoked duck breast was really tender, soaking up the accompanying orange-based dressing that sliced through the richness and gamey nature of the meat, while the skin retained some degree of crispiness. The Duck confit on the other hand, came across rather bland in taste; where usually we would have imagined this to be on the saltier end of the spectrum with crispier skin, and a richer, full flavor from cooking with the duck’s own fat and grilling the potatoes in the same artery-clogging base. But this did not pull through somehow. 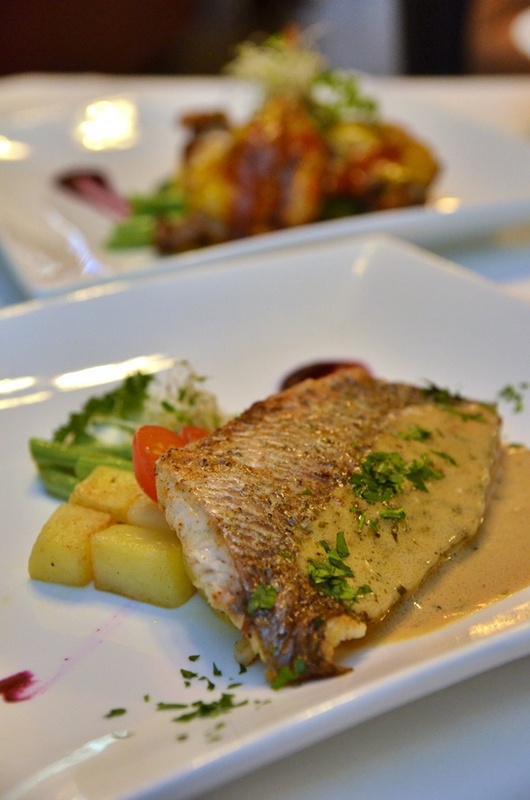 The grilled sea bass and both the pastas were reasonably well done; the former was beautifully pan-grilled leaving a smoky, charred finish to the intact skin and served with a tangy lemon caper butter gravy. The spaghetti carbonara was passable and would please the pasta lovers well; but neither was this the best nor the worst that I have tasted in Ipoh. 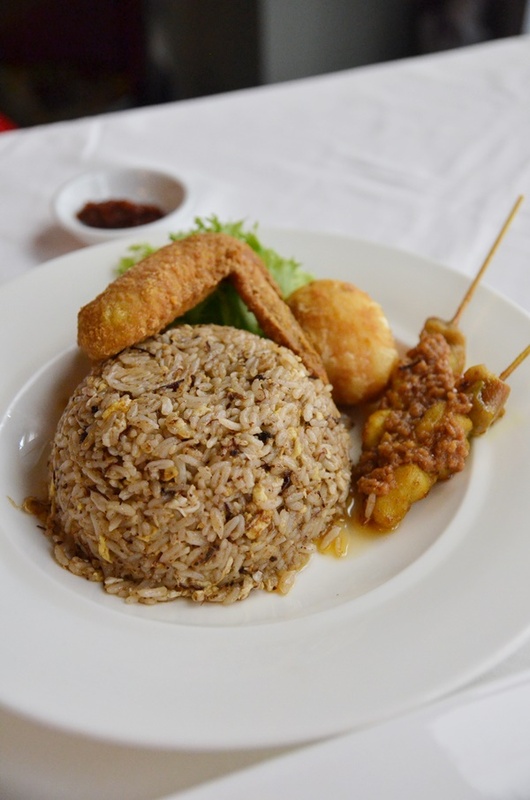 The Nasi Goreng Istimewa came across a little bit too wet and lumpy, but the accompanying chicken satay and fried chicken wing were delicious. Still, this did not do them any favour in setting their brand apart from the rest of the cafes in Ipoh; as I still believe that a Malaysian café should always be able to whip up an admirable artillery of Asian specialties well; to combat the otherwise lackluster breed of newer cafes focusing solely on big breakfast platters, burgers and waffles. Now I heard that their Curry laksa and Prawn mee (available only at STG Tea House) are crowd pullers, so those could be their salvaging moments. If you think that the mains and drinks are all that they do well, then think again. Or rather, trust me on my take on their desserts. 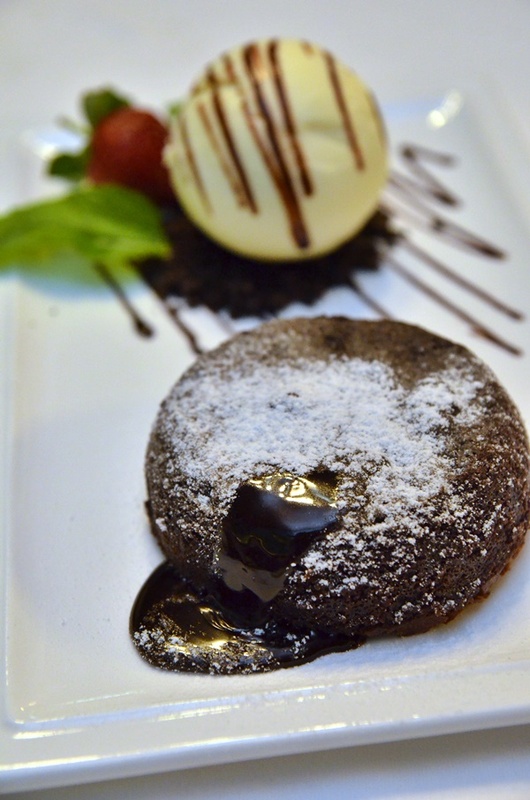 The Chocolate Lava Cake (15 mins waiting time) was really, really good. The warm, flowing melted chocolate had the right balance of sweetness and had us scooping up every single drop from the crumbling structure. The soft chocolate cake exterior gave way with a light nudge of the spoon, and in mere seconds the entire plate was covered in a dark, sinful, gooey mess. Oh, the vanilla ice-cream worked to balance out the temperature providing a contrasting chill, while the base of chocolate cookies crumble lent a textural difference to the amalgam of sweet flavours. The Belgian waffles although paled in comparison to the chocolate lava cake, but was still worth a try. 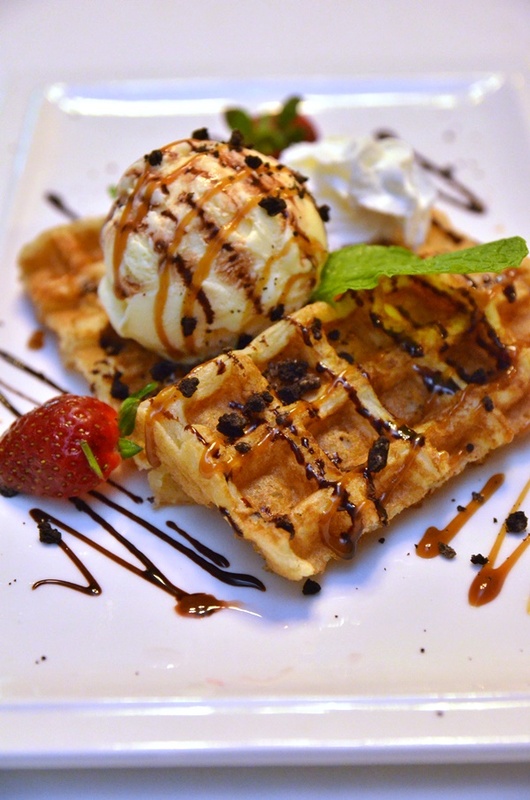 The soft waffle was airy with a nice buttery whiff, and goes perfectly with the scoop of vanilla ice-cream drizzled with caramel and chocolate sauce. 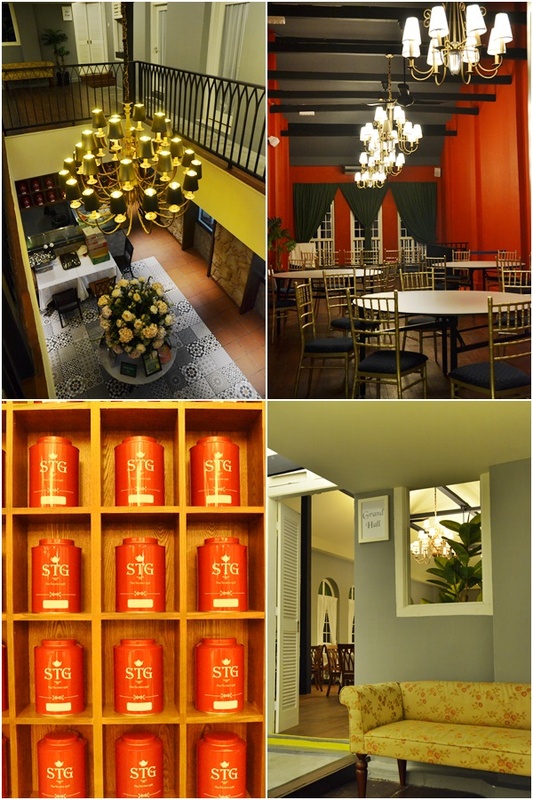 And you need to end the feast with a taste of their Sabah tea, including flavoured varieties like cinnamon, lemongrass, pandan, rose and more. 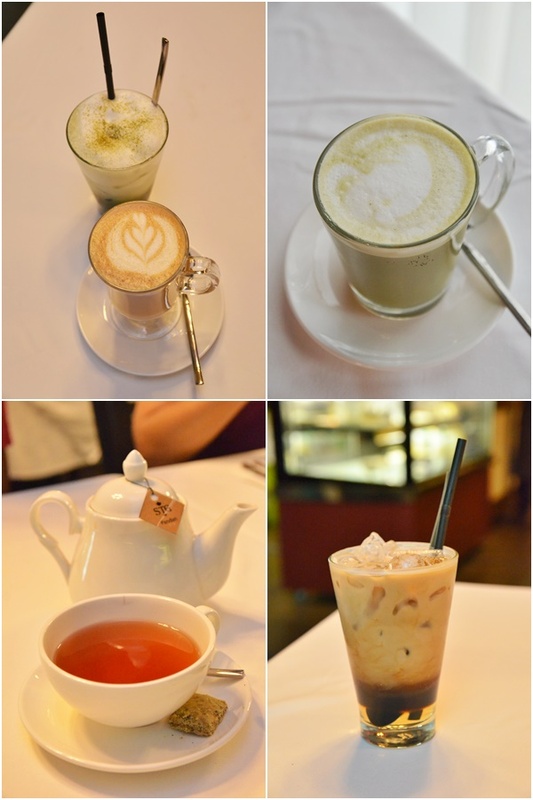 Or go for the Matcha Latte (using premium green tea) or various gourmet coffee blend. Opens from 11.00 am to 11.00 pm everyday. *Disclaimer: Part of the meal was sponsored by the STG management as we dined as invited guests. Lousy food at sky high prices. Ask any true Ipoh resident. I strongly agree. Being both STG in Ipoh. Over rating and over price. Food not as good at they charged. Went there on cny,service was slow and bad.we have to raise our hand to get the waiter to our table.starter was served together with the main course,food is so so.price is acceptable but won’t got back with such service. 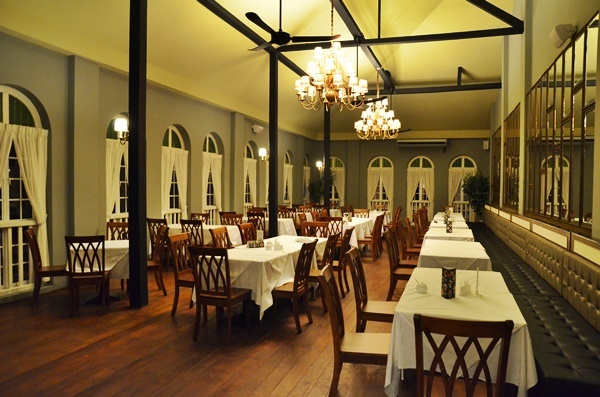 Spacious and cozy environment. It was a rainy day and I was sitting outdoor, feel like sitting at one of the cafe in Paris. ???? Food are nicely cook with fresh ingredients. Glad that Ipoh have more quality food now. First of all, it’s classy food without ever trying to push the envelope too much that you feel suffocated by its “chicness” (and boy, do they have a lot of those). My dad and I take a particular fondness towards the grilled salmon. Succulent, fork-tender piece of fish and a crispy skin, who doesn’t love that?